How can innovative business models make private practice more sustainable for women? 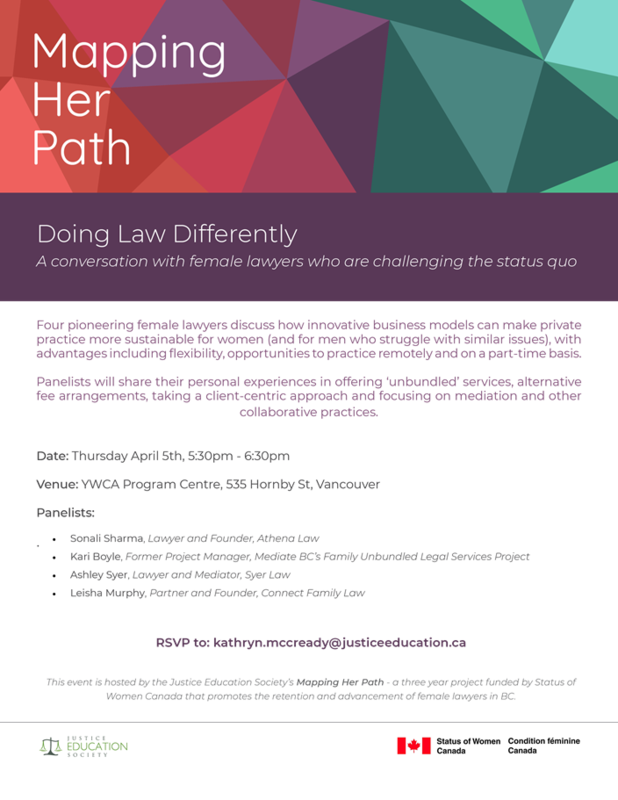 On April 5th, four pioneering female lawyers, including our very own Leisha Murphy, discuss how non-conventional models can address some of the issues raised by women, sharing their personal experiences and the lessons they've learned in offering 'unbundled' services, taking a client-centric approach and focusing on mediation and other collaborative practices. The event will be free-of-charge, and open to the legal community (including students).